What's Up With All Those Green Dots On WeChat Moments? Let's say there's this one really good hot dog place that doesn't do delivery, and damn, wouldn't it be great if you had someone to walk down the road for you to pick one up for you and bring it back to your place? Or let's say you know specifically what DVD you want and you explicitly know it just came out in the DVD stores -- wouldn't it be great if you had some awesome person to just run down there and pick that up for you? Or let's say you're the laziest person on earth and you've got this dog, right. You've got this dog that needs walking... you get the idea. 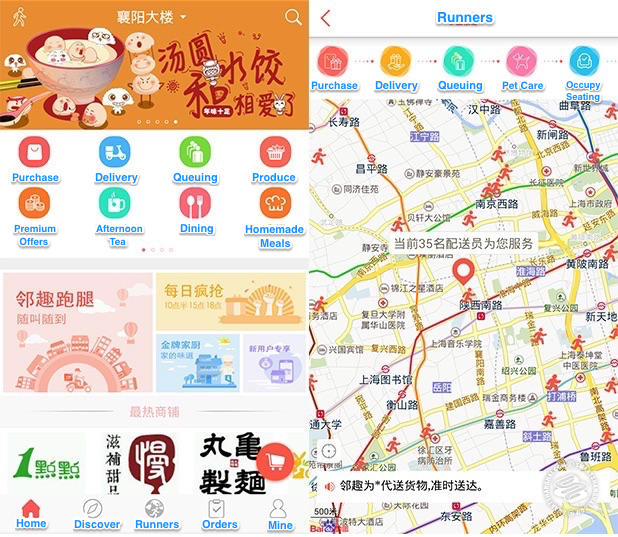 Like Uber, Lin Qu (邻趣), which you can download here on iOS and Android, is an app that relies on crowdsourcing, but instead of a single service, Lin Qu's runners will wait in line, occupy seats in popular restaurants, walk your dog, and deliver and pickup packages across town. Tap the Purchase icon to send a runner to purchase something at a store of your choosing. There are limits to what can be done, of course. They won't lift you up off your couch, say, and just carry you over their shoulders like a sleeping baby to the Family Mart to get some Pringles. You can only choose from the services listed above. For example, you can't say, "Procure me an iPhone 7." You have to give the store's location and be sure that they have what you are ordering. 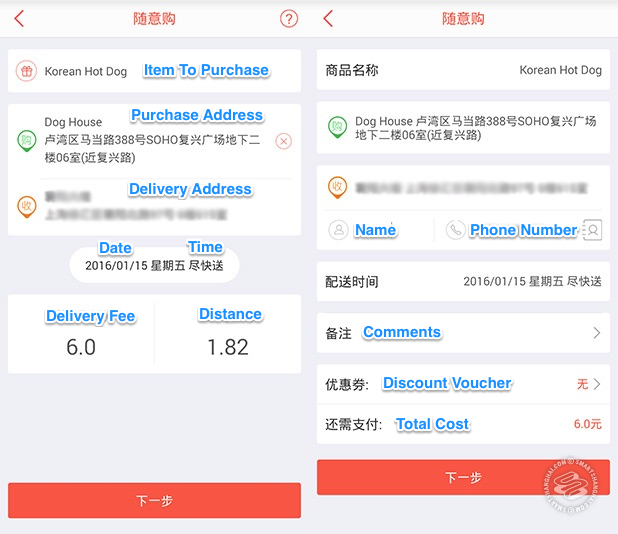 In addition, you can purchase food directly from select stores, which is a service not unlike other apps including Dianping, Meituan and others, and it's not something you'll probably use Lin Qu for. Courier services, which is what you likely use this app for, include delivering packages across town, purchasing items at your behest, and taking and keeping a spot in line for you. That's pretty crazy -- they'll get your number at the bank and chill in line for you. That's how much they value your precious time. We had to try that out. For this article, we tested the latter two services. Type in the items you want, addresses, and the delivery time. 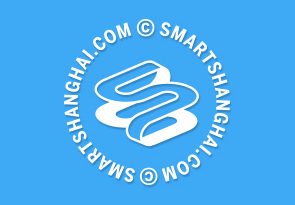 You can leave a comment with further instructions if you'd like, but it'll need to be in Chinese. 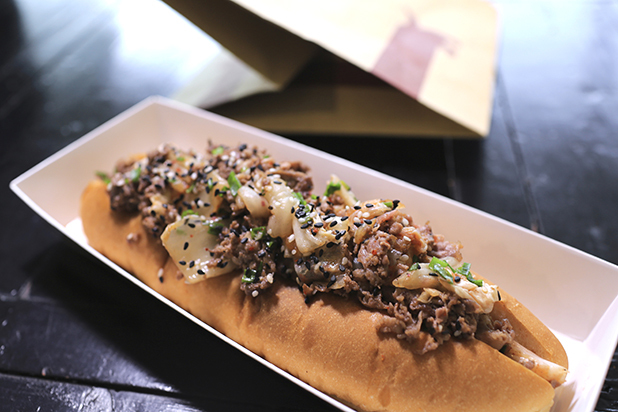 We sent a runner to Dog House for one of their Korean hot dogs. He went in the store, ordered the dog, and delivered it to our office within 45 minutes, which was quite fast. Thumbs up. The speed of your delivery largely depends on your area, how far your are ordering from, and the size of your tip. Tips are set before submitting the orders. They play a large part of the runners' income, so don't be stingy if you can afford it. And if you want something done fast, or if it's late, you should definitely tip high. Like Uber, the runners choose which orders they want to accept. Orders with high tips are more likely to be chosen. Once you submit the order, you pay for the tip and the delivery fee. 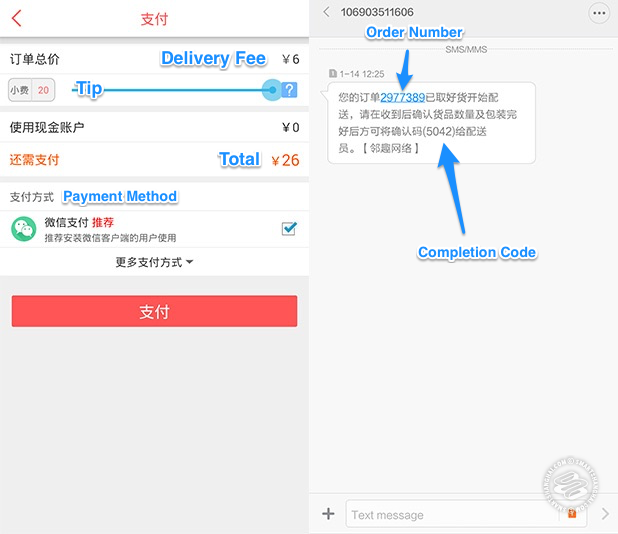 Then you pay the runner for the item upon delivery, either in cash or through WeChat Wallet or AliPay and provide them with the completion code that's delivered to your phone in a text message. Courier purchase orders can be placed from 7am-11.30pm. Our hot dog runner had a pretty interesting back story. He spoke English, and called himself Tom. Not two months ago, he worked in stock market investments... So yeah, now he's penniless and does this, running around, doing errands and deliveries through the Lin Qu app. Poor Tom. But he says he doesn't work very hard and makes 5,000rmb from it a month. But those who do it as a full time job can make over 10,000rmb. So... not all that bad, really. That's pretty good pay, and it's because runners get paid by the customer, then again by Lin Qu for each delivery they make. As another runner we interviewed put it, "It's like those other apps such as Meituan, it's just burning money right now." For a less straight-forward task, we tried sending a runner to buy a couple of movies from a DVD store. We instructed the runner to get the first RoboCop (1987) and the original Star Wars (1977) movie. He called us when he got to the store and handed the phone to the shop owner, who we spoke to about what we wanted. Then he came back with a little more than what we asked for. 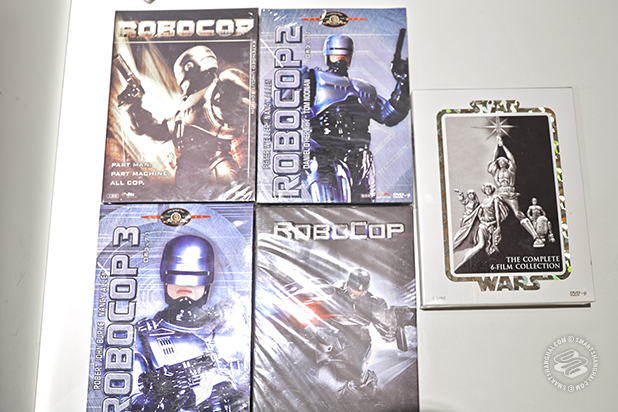 Apparently the shop owner decided what we really needed was the entire Star Wars and Robocop series. Uh, dude. So be careful when you make your orders, you might not get exactly what you want, I guess. Though, we did left our instructions imprecise in the app on purpose to see what would happen, so your experience might fare better. 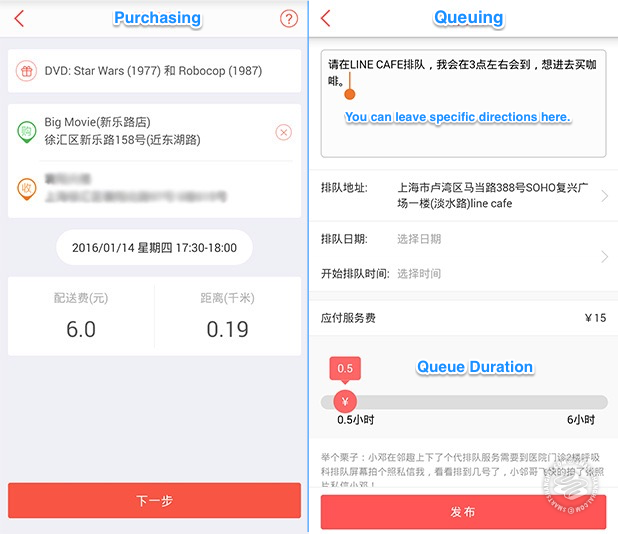 Lastly we tested the queuing function of the app. You tell the runner the time and the place, and they'll get in line for you and wait there for up to 6 hours, with each half hour costing 15rmb. Then when you arrive, you can switch spots with them. 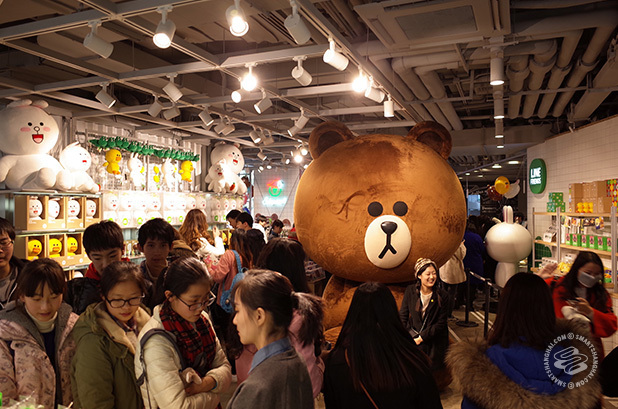 We sent our runner to Line Cafe's line... (get it?). Line Cafe assured us that they had a very busy line with a 30 minute wait under the best circumstances. But actually, the line was more like 7 minutes, and to make matters worse, the Lin Qu bro got there 20 minutes early. He ended up waiting on me for over 40 minutes. At the front of the line. Letting scores of teen and pre-teen pubescent girls (which is 80% of the population in Line Cafe) pass, holding his position, as they glared at the old shifu in his scooter helmet, while he waited for my arrival. This hero among men got a max tip and five stars. So the queuing thing -- it works. Speaking of star ratings, here's how to do that. Tap the "Orders" tab from the home page to see current orders, completed orders, and cancelled orders. Tap "Completed", and select "Set Rating" to rate your runner. 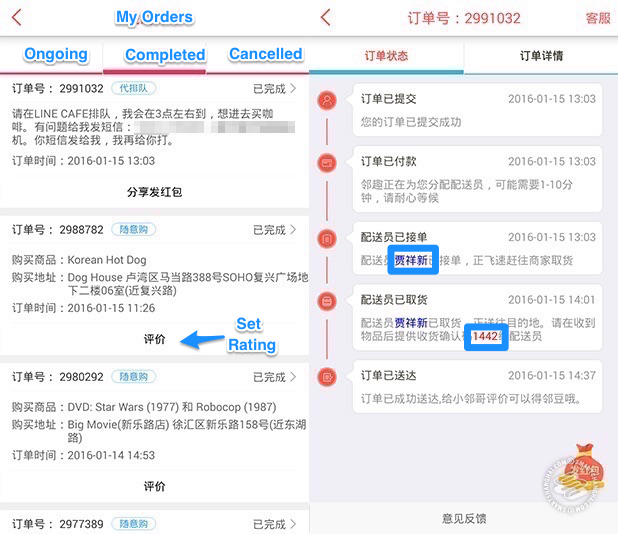 If you want to contact your runner at any time, tap on your order and select the name highlighted in blue. That'll lead your to a window where you can instant message and call your shifu. Your completion code is listed here too. There you have it. 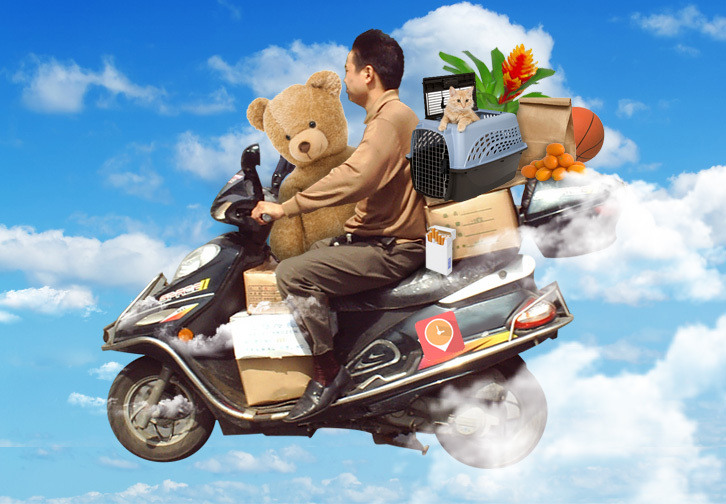 Your own personal courier. It's a pretty Kramer idea. Which is to say, a great idea. Use it when you're too lazy to get up from the couch, or when you don't want to get caught in public purchasing that one embarrassing object, maybe. Or when the iPhone 7 actually does come out and you need someone to stand in line for you. Or when you're too lazy to get up from the couch and you don't want to be caught in line waiting for an iPhone. Whatever. Use it, it's a good one.